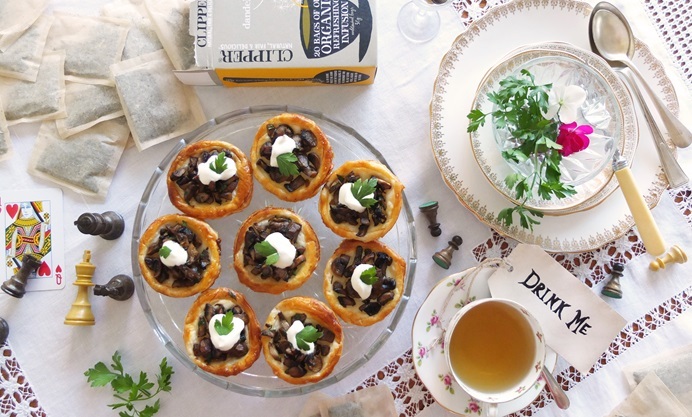 These delightful mini mushroom tartlets from Helen Graves are the perfect addition to a Mad Hatter’s tea party – but hopefully these mushrooms won’t have you taking on giant, or miniscule, proportions. Serve these earthy tartlets with pleasingly bitter dandelion tea for a taste of the countryside. For more fantastical Mad Hatter's tea party recipes, visit our page celebrating the 150th anniversary of the publication of Alice's Adventures in Wonderland. 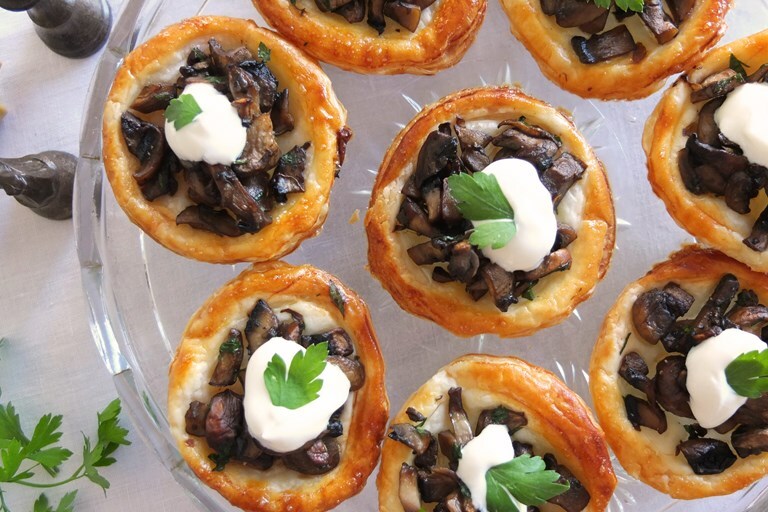 We’re calling these mini magic mushroom tarts but don’t worry, there aren’t any actual hallucinogenic involved. You can use any combination of mushrooms depending on what is in season; chanterelles would be a particularly nice addition, so get as fancy as you like. The sour cream garnish on top makes a nice addition flavour-wise and it also looks pretty, so don’t skip it.